Bob has been travelling the UK and, recently, Singapore, speaking at conferences and supporting schools in their search for a richer and deeper English curriculum design. He has been a freelance consultant for 11 years, after 23 years as a teacher. 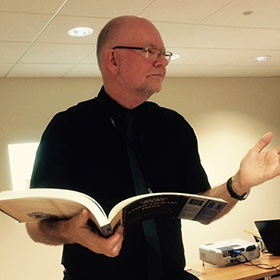 Bob is an award winning author whose ‘Opening Doors’ strategies are now widely used to raise standards in English and give inclusive approaches. Bob has spoken at national and international conferences and recent key-notes have been via Hampshire LA, MATS, Optimus with a key-note for The National Association for the Teaching of English.